Co-browsing allows agents to assist customers remotely via a shared browser. 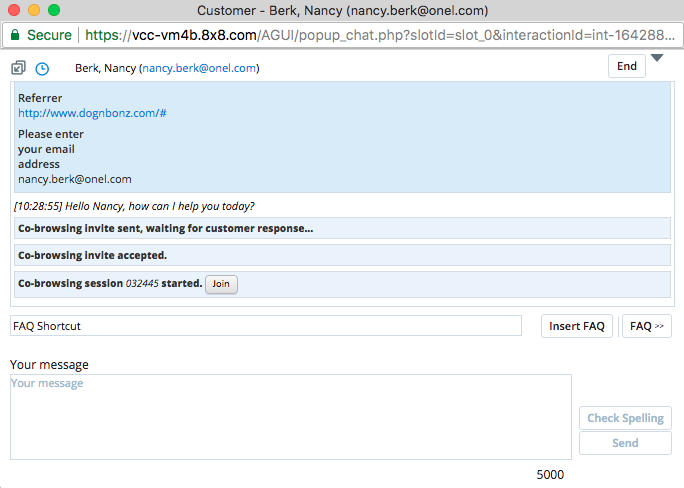 Customers can request a remote session by selecting to co-browse during a chat with an agent. Or if they are chatting with an agent over the phone they can generate a code through a button on the company’s website. 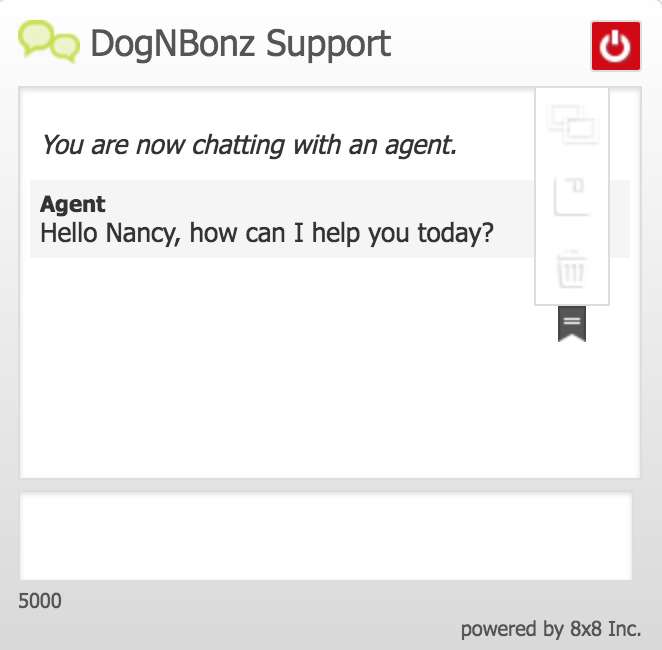 An agent can initiate a co-browse session through the chat interaction menu in Agent Console. Simply select Invite for co-browsing. System administrators can configure co-browse in one of three ways. Full control allows agents to have full control on the customer’s browser session. Partial-control allows agents to highlight and control the browser navigation, but agents do not have privileges to fill any forms on the co-browse page. No-control is a view only mode. Agents can observe customer’s navigation, highlight, and offer guidance.